Let me get right to the point why nonprofit organizations should add text messaging to their communication channels. 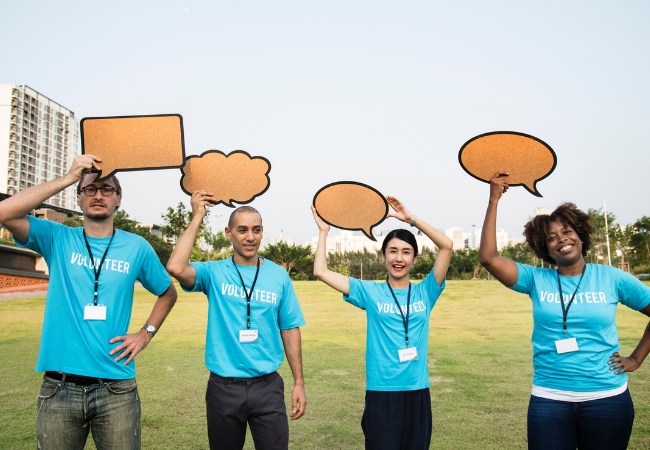 No matter what type of nonprofit you are or what your cause or mission may be, it’s our experience that ENGAGEMENT is a huge issue for nonprofits. Engagement drives awareness, support, and funding which are all vital to your success. Engagement is all about how you communicate/reach (email, text messaging, phone, print, social media, in-person) the right person, with the right message, and at the right time. Staying engaged is a real challenge no matter what communication channel is used. However, it’s even more challenging for those nonprofits who are missing engagement opportunities by not including text messaging as a communication option. Text messaging allows your nonprofit the ability to reach those donors, prospects, and volunteers who wish to receive text messages, a way with zero barriers (spam filters, voicemail, social noise...etc) to reduce missed opportunities to attract, inform, educate, and “ask”. “But Chris, texting is too personal for nonprofits.”......hog wash! Businesses are using texting everyday to engage their customers and patients so why don’t you think texting wouldn’t work for your nonprofit? Your nonprofit is a BUSINESS. If you do not have donors funding your cause or mission then your nonprofit is going to fail. Here’s a good time to ask a favor. Stop reading and look at your phone. Now look at your text messages. How many unread text messages do you have? I would bet the farm that you had many more unread emails versus text messages. This is exactly why your nonprofit should be using text messaging alongside your other communication channels. There are even more benefits you experience with texting that you do not with the other channels….you don’t have to worry about leaving a message, getting noticed (silly subject headlines) in a full inbox, spam filters, wondering if they were part of the 6% - 8% of your social media followers who actually saw your post, or did the print piece end up in the recycle bin. Not to mention, leveraging texting can allow you to grow your marketing list by offering inbound keyword opt-ins rather than having someone complete a “contact us” form. Texting makes it easy on multiple levels. It’s all about providing your audience communication options that best fit how they wish to be engaged by your nonprofit. When you limit your communication channels to only a few choices, you lose engagement. Texting isn’t the silver bullet because you still have to provide a valuable message, understand frequency, and what’s the optimal time (day & actual hour) to send a text. In closing, you are doing a disservice to your nonprofit if you are not evaluating or using text messaging. We have over 20 years in the nonprofit world and would love to speak with you to discuss how adding texting could increase your engagement.